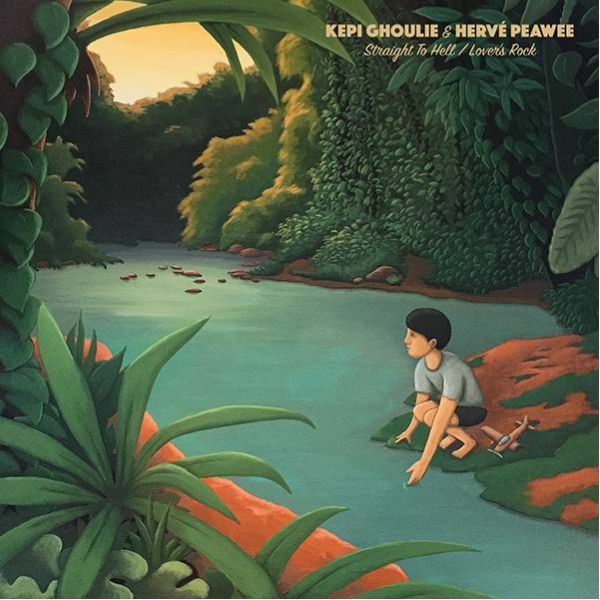 Long time friends Kepi Ghoulie (Groovie Ghoulies, USA) and Herv Peawee (Peawees, Italy) met up to record two acoustic covers of one of their favorite bands: The Clash. Kepi takes vocal duties on 'Straight To Hell' and Herv sings 'Lover's Rock'. The 7" comes with two inserts, featuring art by Kepi and Stardumb Records' Stefan Tijs.